Welcome to Paradise, not many people have the opportunity to find and enjoy such as nice place located on the Western part of Guerrero Mexico with an excellent weather years round Two Destinations in one. 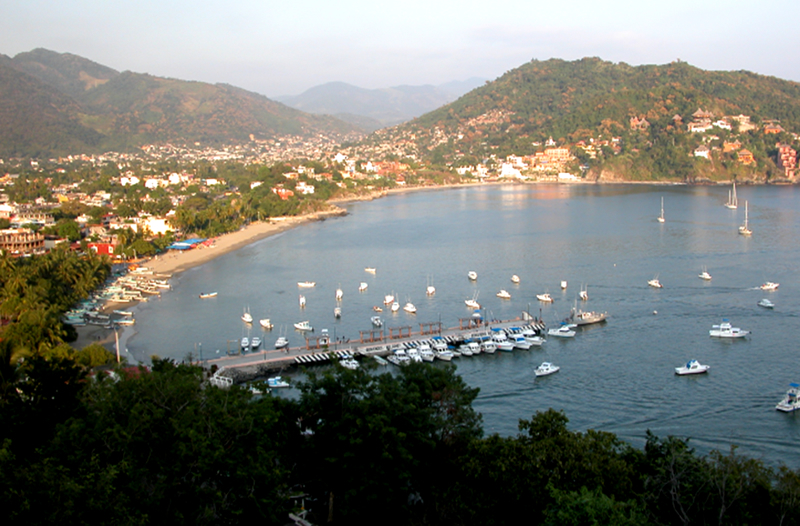 Ixtapa & Zihuatanejo. Zihuatanejo with a traditional feeling of a Mexican Town with the smell of the sea and the taste of the old days surrounded by the Sierra Madre a beautiful Fishing Villages, on the other side just 5 miles distance we have Ixtapa, Ixtapa is modernity with first class hotels along the beach located in a beautiful place surrounded by nature with flora and fauna. 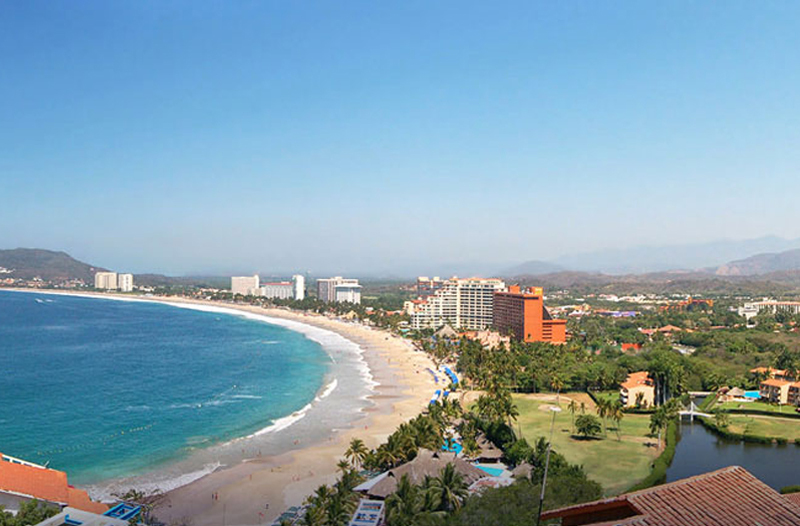 Ixtapa Day Trips.com has organized different Shore excursion, activities and tours and invite you to participate in some of these tours we have prepared for you, All the tours are listed on this web side and were well chosen for you to enjoy the most of this beautiful area that is Ixtapa Zihuatanejo Mexico. 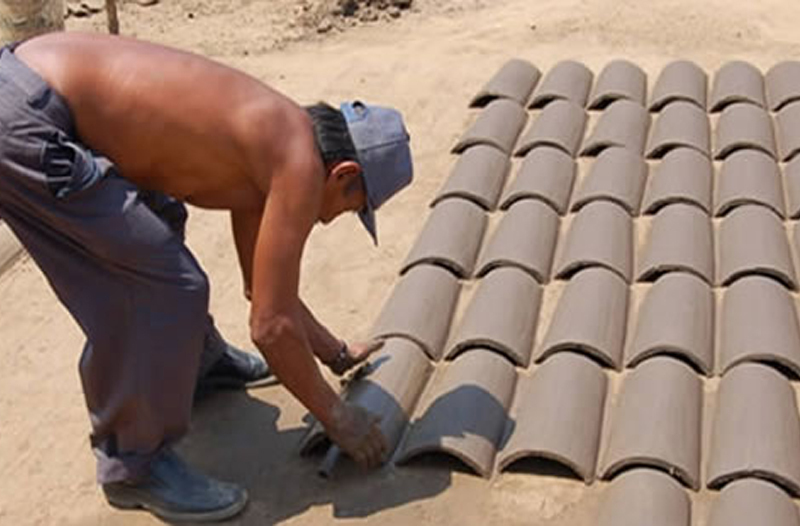 Tours of the Two Cities in 3 hours in a A /C Van , See Zihuatanejo & Ixtapa Highlights with time for Shopping. A 43 ½ Hrs Tour that will take you into the Country Side and to the Fishing Village of Barra de Potosi, Learn more of MEXICO. Do you want to see it all? 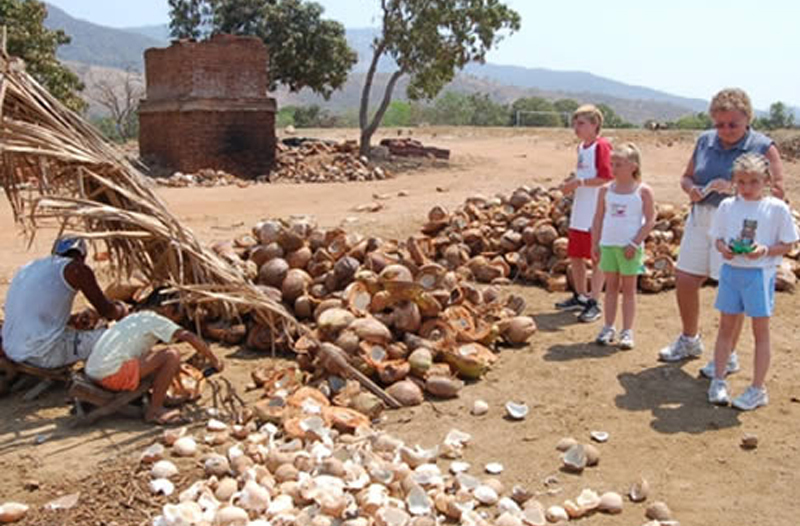 Take this combine tour, Ixtapa Zone I & II, Crocodile Pit, Zihuatanejo Highlights, countryside, shopping and Lunch. 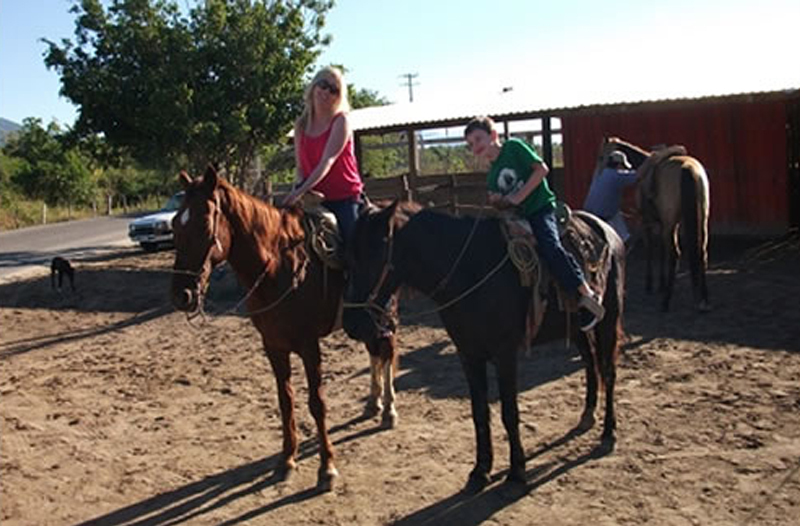 Horseback Riding & Kayaking in Zihuatanejo Mexico, an exiting riding along the beach and kayaking at Barras de Potosi. 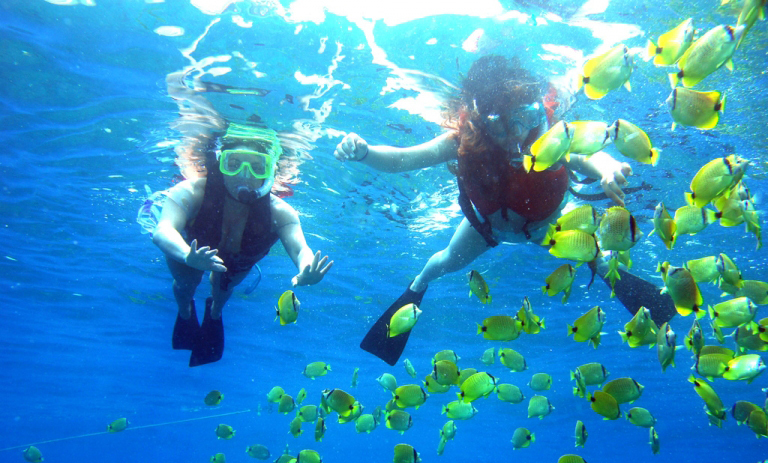 Horseback Riding & Snorkeling in Ixtapa with lunch all included, Transp. 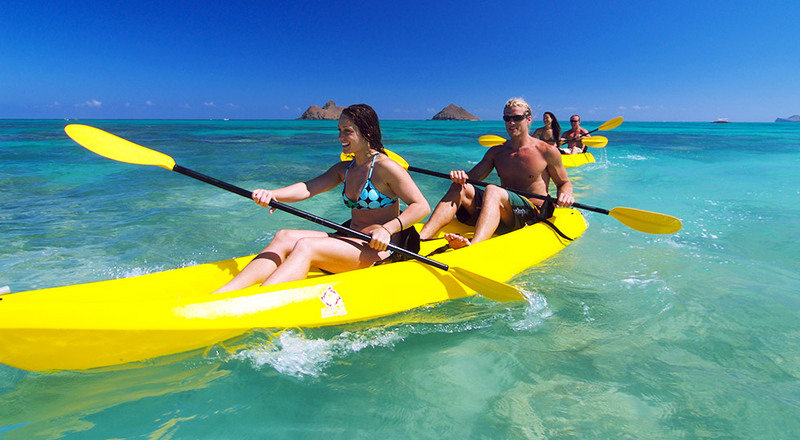 horseback riding, Boat, snorkel Gear, and Lunch. 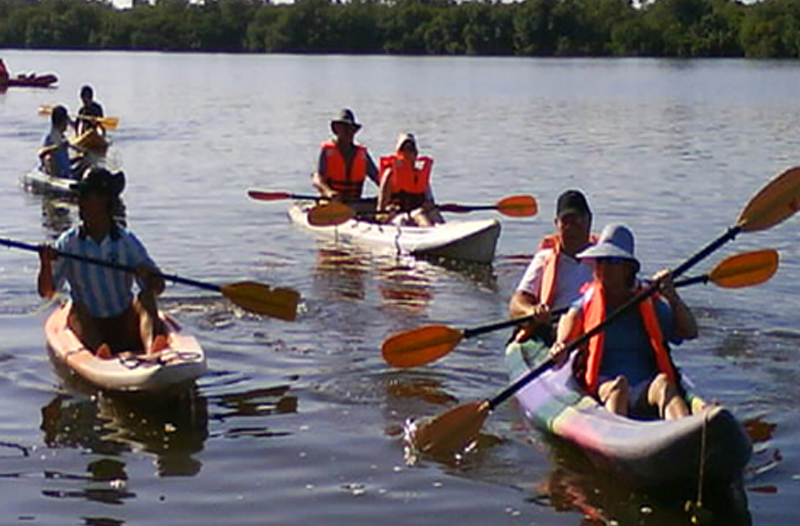 Kayaking at barra de potosi, a ecological tour. 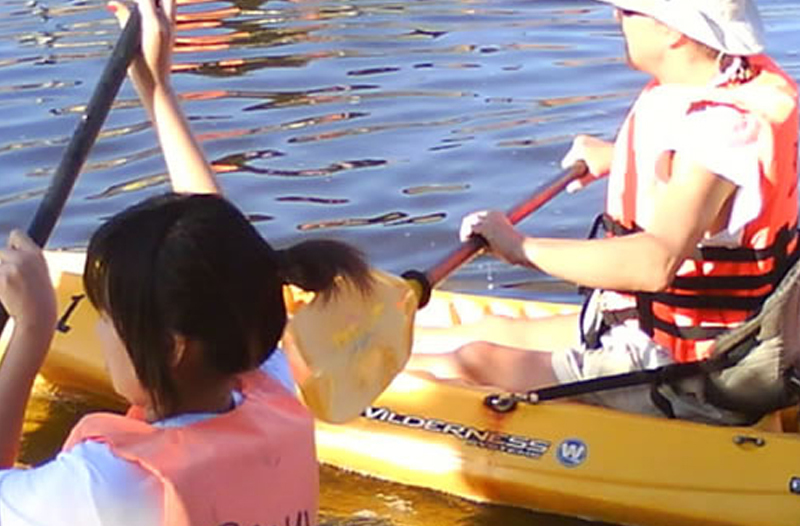 Not to be missed, Transportation, Kayak and guide. 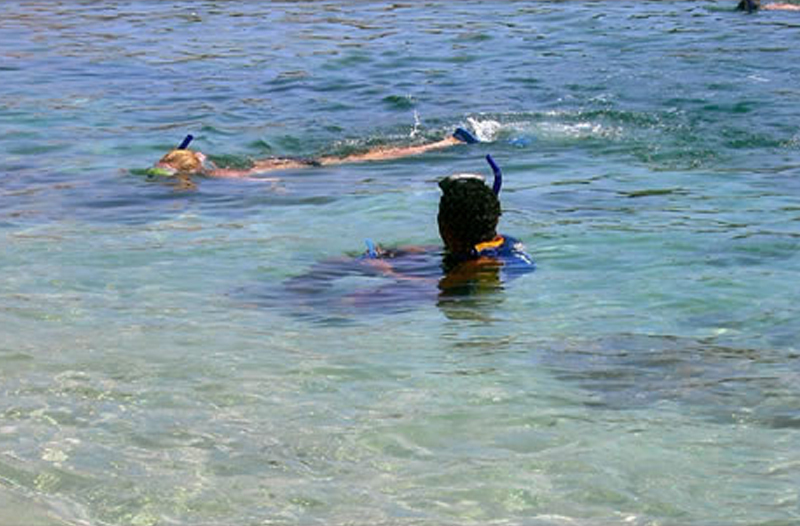 We have two choices to snorkel and kayak we can either Kayak and Snorkel at Ixtapa Island or at Las Gatas Beach. Snorkeling, swimming and Water Sports is what you can do in this wonderful Island, and have Sea Food lunch on a rustic restaurant. 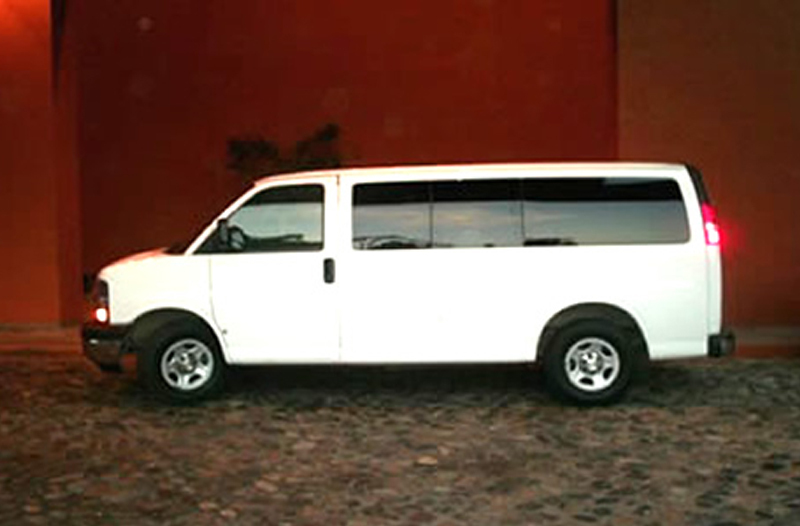 A Charter a Van and make your own trip , you don't have to share it with other people , charter for your family or yourself, Price per Hour, Min. 3. 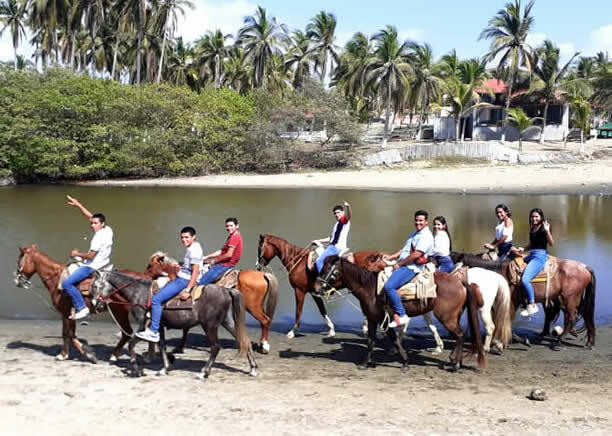 Spend two hours of horseback riding on Playa Larga and enjoy a delicious country lunch before coming back to your hotel or cruise ship. 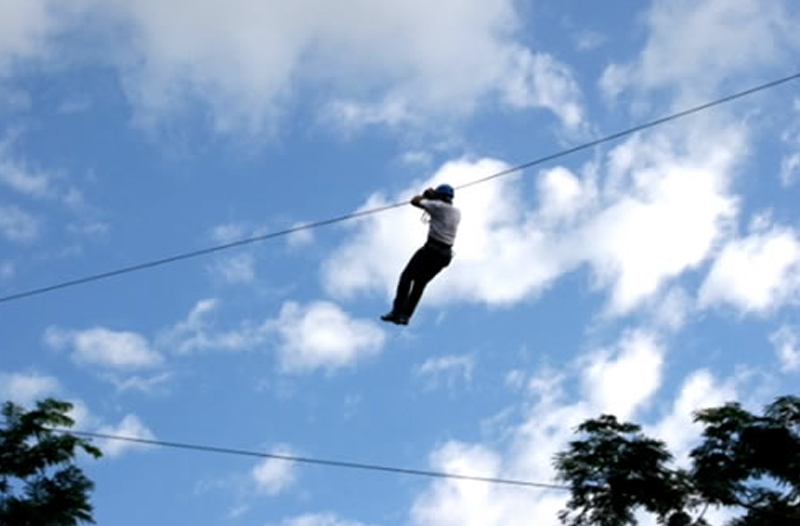 For those who like the adventure come and enjoy a fascinate day zip lining from tree to tree at Adventure Park in Ixtapa-Zihuatanejo, México. 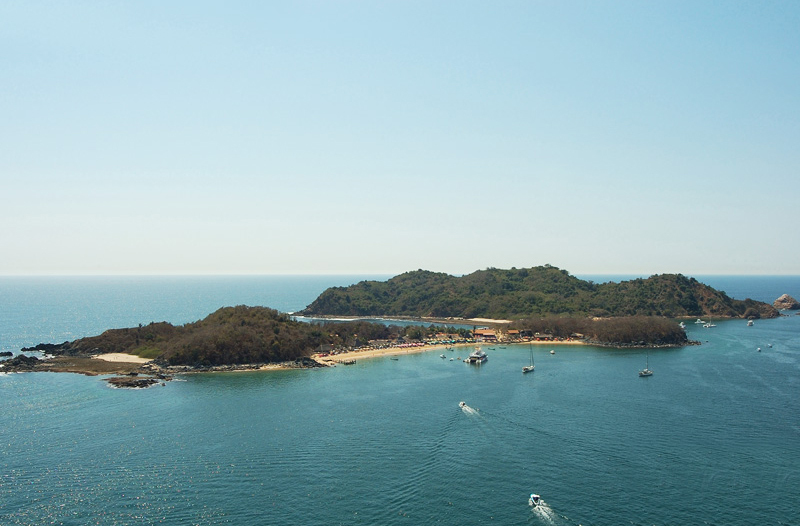 Spend a half day in Ixtapa Hotel using its facuilities at no charge or get transportation from the cruise ship terminal to ixtapa to and from.